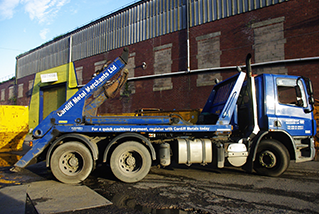 As well as providing a collection service with a guaranteed maximum 24 hour turnaround, choosing Cardiff metals means you’re assured that the correct equipment will be used to transport all of your scrap metal in a efficient and cost effective manner. 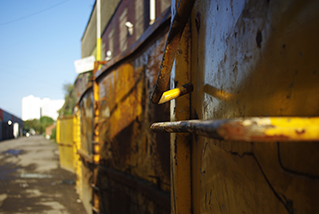 We will use our extensive expertise to develop a bespoke scrap removal plan to your specific requirements. Our industry plays a key part in reducing the carbon emissions and limiting the environmental impact of using the world’s natural mineral resources. We have numerous vehicles of different capabilities, for larger removals we have our large skip lorry with a variety of different size skips to suit everyone’s needs. We have two flat bed vans for our small-medium size collections with the option of a 3.5 tonne trailer. We can do wait and load, or drop off skips at free rental. 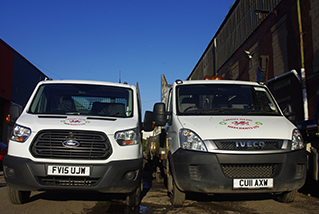 All of our vehicles carry a waste carriage license and public liability insurance and have 24/7 tracking devices. 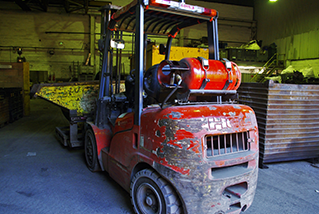 Each of our sites has the use of a forklift to help unload large and awkward loads. We have a cable granulation department, a bailing facility for bailing and palletising non-ferrous for export, a shearing department that allows us to shear material by hand and keep a strict control over quality. Today’s modern metal processing market requires quick response times, high service levels and a quality product. Technology at our new facilities allow us to ensure we stay ahead of the market while offering highly competitive pricing whether we are buying scrap or selling processed materials.